In this regard, many interesting companies are growing aware of the new trends, bringing new ideas and innovations to the luxury fashion market. The following part of this article is trying to identify and discuss the most interesting startups, between Italy and the rest of the world, to watch in 2019 in the luxury fashion industry,keeping an eye on the future and the other on sustainability. Considered one of the top 5 startups of The New York Fashion Tech Lab 2018 (NYFTL), a program that unites innovative startups with established retail companies in order to facilitate and improve the future of fashion, Fashwell bridges the gap between social media inspiration and the retail experience. The Zurich-based startup is the brainchild of three machine-learning specialists that solves the visual demands of the fashion industry and its consumer. With its technology, combined with the expertise in visual merchandising, Fashwell takes visual search a full step further for ecommerce retailers: its search-by-image technology allows shoppers to upload images or screenshots and instantly receive similar product recommendations. On the backend, it helps retailers manage their inventory and compile product suggestions that lead to a conversion increase of 35%. Launched at the end of 2017, Wardrobe.NYC is a label founded by Christine Centenera, the Vogue Australia Stylist and Fashion Director and the brilliant designer Josh Goot that heralds a conscious model for the future of luxury. What is interesting about this startup is the way they sell their luxury fashion products exclusively through the kit formula. 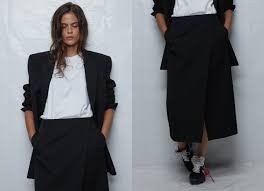 In fact, the brand offers only two options: a 4 pieces-pack for $1,500 which includes a t-shirt, a blazer, a shirt and a pair of trousers, or a 8 pieces-pack for $3,000 which adds up to a hoodie, a coat, a sweat-shirt and a pair of trousers. Based on the concept of minimalism, Wardrobe.NYC’s pieces features without logos or patterns and are available in only two colors, obviously Black&White. Moreover, the brand offers clean cuts borrowed from iconic designers such as Yohji Yamamoto, Helmut Lang or Maison Margiela. It’s now time to talk about luxury watches. Launched during the Milano Fashion Week 2013 from an idea of Dario Spillone, together with his sister Alessia, Mattia Bodini and Alessandro Pedersoli, D1 Milano offers thermo-chromatic watches, inspired by their thesis in Bocconi. 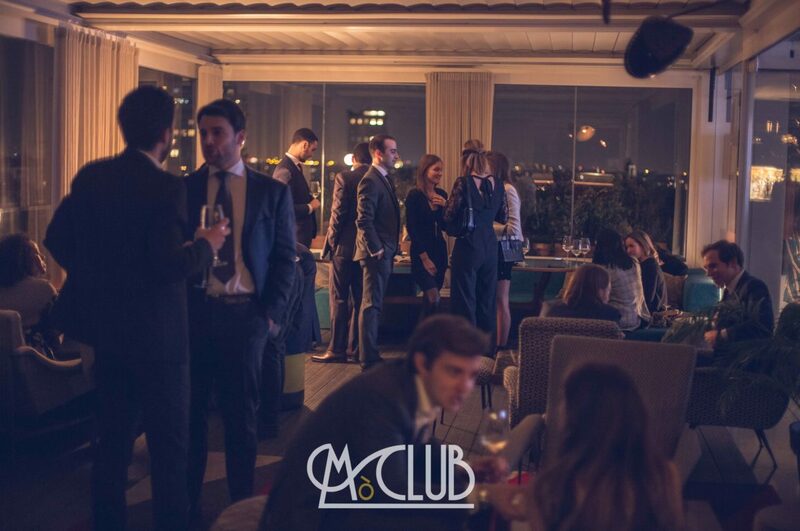 Few months later the launch, D1 Milano won the Speedmiup, the startup accelerator created by the City of Milan, the Milan Chamber of Commerce and Bocconi University. 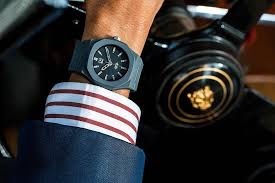 Moreover, the first D1 watches have started to appear on the wrists of celebrities such as Bud Spencer, Carlo Cracco, Diplo, Karl Wolf, Tyrese Gybson, and many others. Even the US magazine Forbes took notice of the success of D1 Milan, dedicating an article to the four young entrepreneurs and their watchmaking brand. Today their watch is a luxury product sold in Japan and within some stores like Harvey Nichols, Selfridges and Dubai Mall. Another great idea from our beloved Country. The Italian startup Lanieri is surely one of those realities to be proud of: for them, selling online luxury, tailor-made product for their customer is not a future challenge, it’s the current reality. 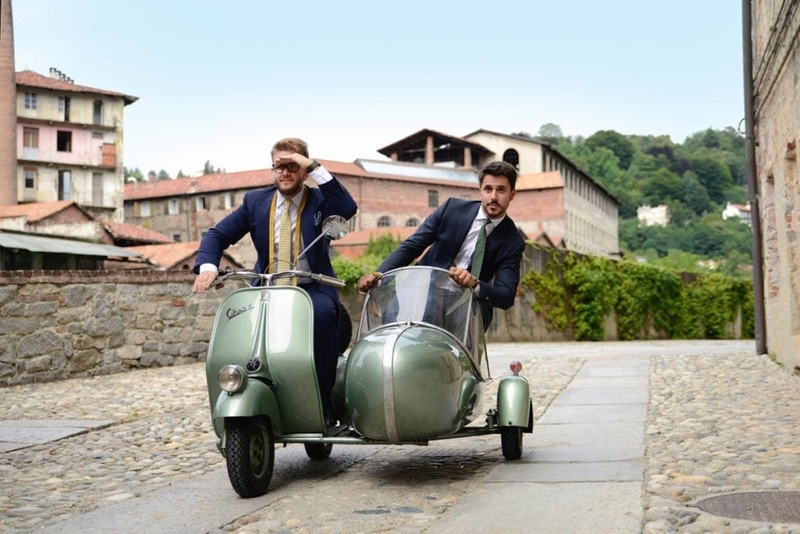 Founded in 2013 by two engineers, Simone Maggi and Riccardo Schiavotto, Lanieri is the first 100% Italian e-commerce dedicated to men’s fashion that uses the best of the Made in Italy fabrics, from Ermenegildo Zegna to Reda to Loro Piana., in order to offer a tailor-made service entirely online. The setting is unique: on Lanieri.com you can configure your own tailored garment and you can decide to touch fabrics and take the order even offline in their atelier (5 in Italy and 3 others respectively in Paris, Zurich, Bruxelles). The formula is therefore hybrid: from the online experience, they are trying to create an omnichannel experience. Recently awarded by Altagamma with the “Premio Giovani Imprese 2018” they closed 2017 with a turnover of 3.5 million euros, an increase of 65% compared to 2016, while for the end of 2018 the turnover forecast supposedly between + 25% and + 35%. Despite the fact that Canada Goose is not classified as a startup, when talking about major players in the fashion industry, it cannot be avoided. According to the Deloitte Global Powers of Luxury Goods 2018 report, Canada Goose entered at the 83th place in the Top 100 of the best luxury goods companies by sales and it is considered the fastest-growing company of the whole ranking before giants such as LVMH, Estée Lauder and Richemont Group (FY2014-16 CAGR). Sold in 37 countries around the world, Canada Goose puffer jacket wearers become the ultimate status symbol, sported by fashion influencer and celebrities. The company’s recent expansion into sweaters and the acquisition of Baffin boots shows how Canada Goose is preparing to become more of a lifestyle brand through the building of a product line diversity. As promised, the time has come to talk about sustainability. Founded in 2014 in Milan by Gianpiero Tessitore and Francesco Merlino, Vegea has the aim of merging luxury fashion with the food waste industry: the startup, has created a fabric similar to leather recovering waste from wine production, then reusing the marc, the peels, the seeds and the stalks of the grapes. The Vegeatextile, the skin of wine, won he 2017 Global Change Award, the prize awarded each year in Stockholm by the H&M Foundation for innovations in the fashion industry. This year, the startup was included in the European Union project Horizon 2020 Sme Instrument phase II, receiving funds to continue its research in the field of biomaterials. Founded in 2007 by José Neves, a Portuguese entrepreneur, Farfetch is an online luxury fashion retail platform that sells products from over 700 boutiques and brands across the world, shipping to 200 countries. 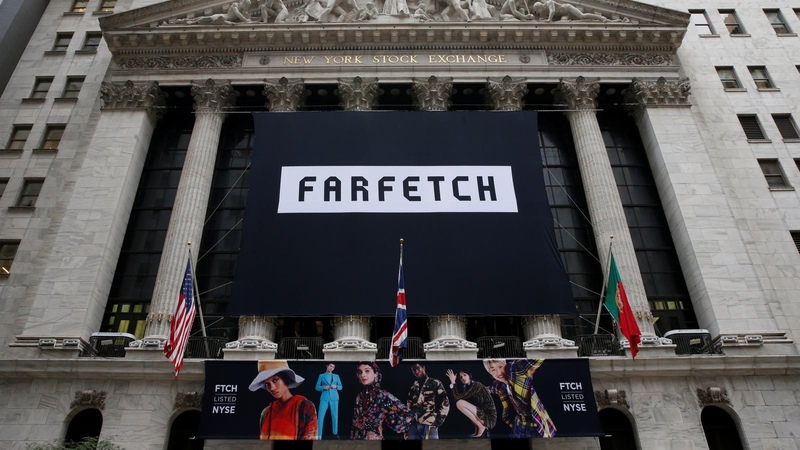 Last September, Farfetch (considered the natural competitor of Yoox-Net-à-Porter) diminished officially its status of startup making its debut on the New York Stock Exchange being listed at 20 dollars per share (17 euros), valuing its IPO above its target at over 885 million euros. The new capital injection allows Farfetch to compete against giants with a larger base of customers like Alibaba and Secoo at the aim to impose its position as the most important luxury fashion online platform in the world. Else Corp stands for Exclusive Luxury Shopping Experience: Andrey Golub founded the startup in Milan in 2014 with the aim of revolutionizing the fashion world. It is aimed at fashion companies offering Cloud SAAS & API technologies for the customization of products. 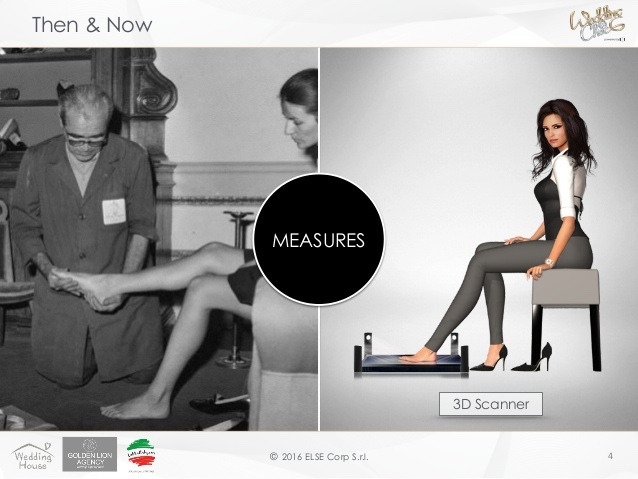 The company also offers a B2B platform for virtual retail in 3D: in other words, what it does is scan the client’s body to create custom-made clothes and accessories. Moreover, the possibility for the shopkeepers is to make their shop an experience for the customer and reduce the costs of storage, while for the clients is to have a customized product, being able to make changes to the initial design. Since its foundation, the startup has raised over 2 million euros in funding, the last seed of 500 thousand euros, at the beginning of 2018. Let’s remain in Milan: Dress You Can, the startup founded in the Italian fashion capital in 2015 by Caterina Maestro allows for all its client to rent a high fashion dress at a democratic price. Dress You Can consist of a large “wardrobe” from which you can choose the dress or accessory you want, supported by a showroom where you can try and take advantage of the tailoring service included in the rental price. The startup mainly focus on a ceremonial sector: Dress You Can allows its customers to rent an evening dress – or an elegant accessory, like a pair of expensive Valentino shoes – at a much lower price than they would have paid by buying it. The cost of the rental includes the laundry and tailoring service and you can also choose where to get the dress. Let’s conclude our journey in the enchanted Cote d’Azur. 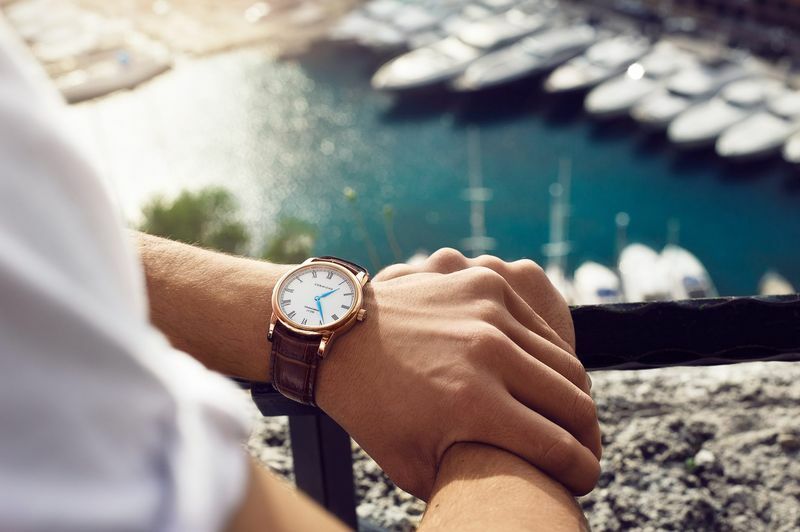 Born in Stockholm in 2013 from the summer reminiscences of its founders, Corniche Watches inspires its products on the Côte d’Azur roads, landscape and the Provencal perfumes. In fact, the French word “Corniche”, which translates into “cliff road”, describes many of the beautifully mountainous routes that you’ll find along the French Riviera, in particular the three most scenic ones that follow the coastline from Nice to Menton: the Grande Corniche, the Moyenne Corniche and the Corniche Inférieure. Re-inventing the concept of the charismatic and eclectic “Neo-gentleman”, the Corniche’s luxury watches are rapidly expanding, enjoying great success especially in the North of Europe.